Even in the most straightforward projects, structural engineers and steel detailers are being asked to participate in collaborative, BIM model based workflows. SCIA Engineer and SDS/2 (both Nemetschek companies) are working together to provide a workflow for sharing models in an efficient and robust manner. 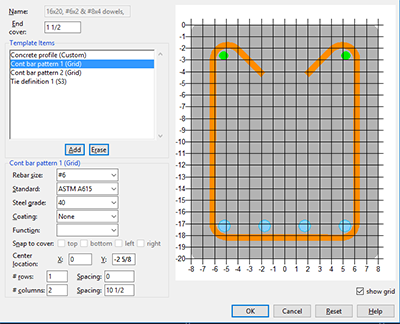 This allows the combination of the world-renowned analysis capabilities of SCIA Engineer with the unmatched connection design capabilities of SDS/2. To demonstrate this collaboration, the companies will host a joint webinar on September 26 from 12:00 p.m. to 1:00 p.m. CDT. From creating calculations to validating connections, SDS/2 customers stand by the quality and value they get from our software. Hear from our customers how SDS/2 is a step ahead of the competition. 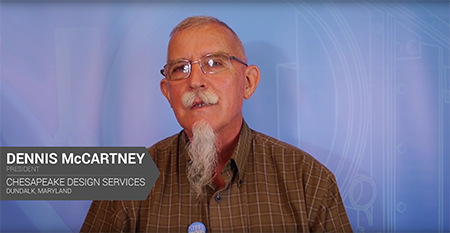 At this year's SDS/2 Users Group Conference — which will be held September 27-29 in Lincoln, Nebraska — we'll again be sitting down with our customers to record their stories. We want to know how your business is flourishing, what milestones you've achieved, what notable projects you've worked on, and how SDS/2 has helped your company grow. If you're interested in telling the story of your company, and the role SDS/2 plays in your company's success, please email Kealey Snyder to set up a time to record your testimonial at this year's conference. In September, Design Data will be exhibiting at two industry events. SDS/2 Erector will be the focus at the Crane and Rigging Workshop, which will be in Kansas City, Missouri, from September 20-22. The yearly workshop is the crane and rigging event of the year; sessions have an emphasis on safety, regulatory and consensus standards, training, and equipment maintenance, as well as current issues affecting the industry. Design Data will be exhibiting in booth #59. For the first time, Design Data will be exhibiting at the Tilt-Up Convention and Expo, which will be held September 28-30 in Miami, Florida. The conference is the premier gathering of the global tilt-up industry, and is designed to provide attendees with valuable education that can be applied directly to their next tilt-up job. The company will be showcasing SDS/2 Concrete in booth #23. Monday, September 4 is the last day to receive the discounted room rate at Embassy Suites for the 2017 SDS/2 Users Group Conference, which will be held September 27th through the 29th at the Embassy Suites in Lincoln, Nebraska. The annual three-day SDS/2 Users Group Conference is primarily a learning opportunity. Activities include training on specific topics determined by the Users Group, the unveiling of new enhancements, award presentations and other activities. To learn more about the SDS/2 Users Group Conference and view the conference agenda, visit our website. To register, click here. All entries for the 2017 SDS/2 Solid Steel Competition, including the job and fabricator, must be received at Design Data TODAY. If you are planning to submit but require a special extension, please contact Stephanie Haith. Entries will be evaluated equally on: aesthetics of the project; complexity (modeling difficulty, connection design); and tonnage (weight). The awards will be presented at the 2017 SDS/2 Users Group Conference in Lincoln, Nebraska. To learn more about the competition or to submit your project, click here. Design Data will host a New/2 2017 support webinar in September on concrete in SDS/2; the webinar will take place on September 6 at 10:30 a.m. CDT. SDS/2 2017 has a new solution for concrete, which allows users to add in rebar, continuous footings, CMU walls, automated connections from beams to concrete walls, and more. The second of three concrete webinars, this webinar will explain how to set up concrete member templates, embed plates, angles, and channels, as well as rebar placement and bending schedules. Learn how to utilize specific tools in Modeling to splice, stretch, add hooks, and more to rebar material. Finally, you will learn how to use Drawing Editor tools specifically created for placing rebar information.